This Web Site uses Google Analytics, a web analytics service provided by Google Inc. ("Google"). Google Analytics uses "cookies", text files that are stored on your computer to help analyze the use of the Web Site. The information generated by the cookie about your use of this Web Site (including your IP address) might be sent to a Google server in the U.S. and stored there. 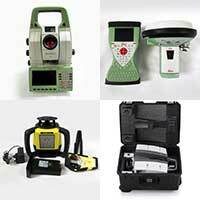 Under the authority of SCCS Survey Equipment Limited, Google will use this information to evaluate your use of our Web Site, compile reports on Web Site activity for SCCS Survey Equipment Limited and provide other Web Site activity and internet related services for SCCS Survey Equipment Limited. In addition, Google may also transfer this information to third parties if required by law or if third parties process the information on Google's behalf. To see details on what Google Analytics collects and how it is used please refer to http://www.google.com/intl/en/analytics/privacyoverview.html.